Let us make few remarks concerning the idea expressed by N.A. Morozov that Mercury corresponds to the two-faced Roman god Janus. This idea is supported by some facts from mythology. The Greek name of Mercury was Hermes41 and this name is believed to be derived from herma — the Greek word for a heap of stones, which was used in the country to indicate boundaries or as a landmark. Hermes was the swift messenger of the gods, and the name of this planet refers to its rapid motions relative to other objects in the sky. Hermes was also the god of roads and doorways, and he was the protector of travelers. He was also called Hermes Propylaeum, what means Hermes the Gatekeeper. On the other hand, in the Roman mythology, the gate god is Janus and his name was derived from jani (i.e., ceremonial gateways in Rome). 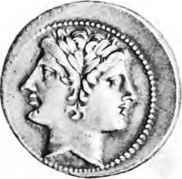 Janus is the god of all the doorways and was represented by a double-faced head, with or without a beard (see Figure 5.47). Occasionally he was depicted as four-faced. 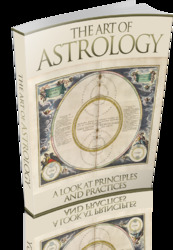 Such four-faced symbols can also be found on Egyptian zodiacs in the partial horoscopes.